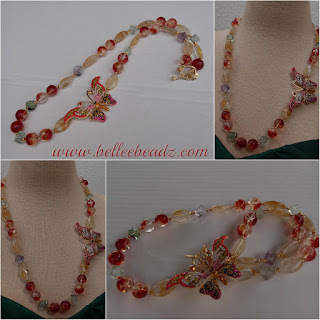 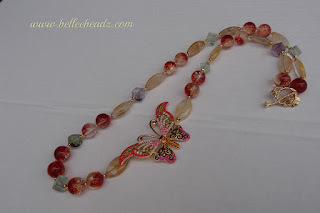 Ruby red moss crystal, gold crystal quartz and fluorite cubes.....exotic ingredients for an unusual array of stones to enhance the gorgeous rhinestone encrusted butterfly. Actual stones/colour are less gaudy in reality. Might need to 'retake' at sundown.